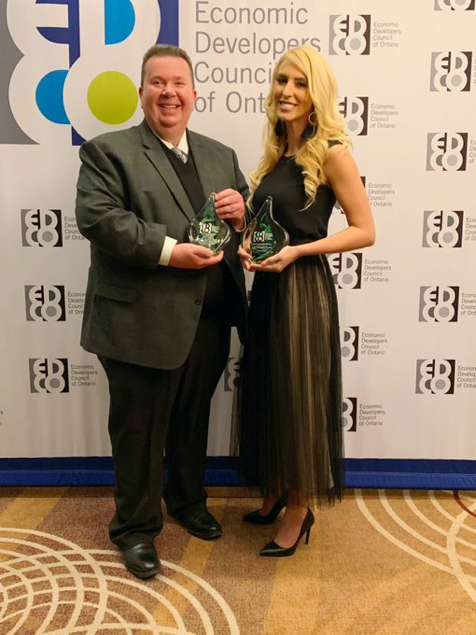 The Windsor Essex region was recognized Thursday evening at the President’s Dinner at the Economic Developers Council of Ontario’s 62nd Annual Conference and Showcase in Toronto. Tourism Windsor Essex Pelee Island’s won for their collaboration with the Essex Pelee Island Coast (EPIC) Wine Growers Association in celebrating 150 years of Canadian winemaking, which included a museum exhibit showcasing the evolution of the region’s wine industry, a public lecture, wine tasting, and a limited release wine collection produced by 10 participating EPIC wineries. In addition, Yvonne Pilon from WEtech Alliance won the Digital Influencer of the Year award.